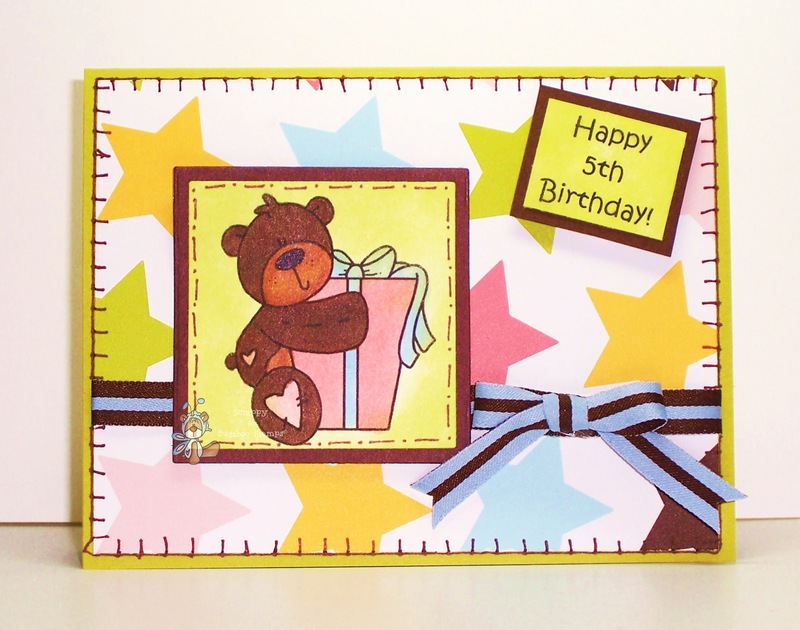 It's OBG day for the DT at Bugaboo Stamps - the day that some of the Bugaboo DT shows off their creations featuring some of their favorite Bugaboo images that are not part of the current release- like my card below featuring Bear- present. 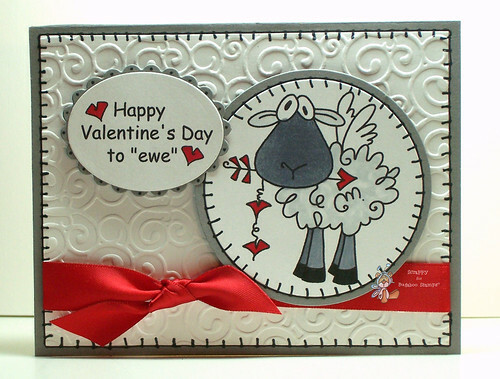 This weeks featured digi is from an awesome line of stamps called Valentines Ewe. I think the whole set is a *MUST HAVE*! It's AbaC Monday at Catch the Bug with Bugaboo Stamps! Today I'm sharing this altered little notebook I created for my little one to use as a diary! My project features Kidz Girl- Hot air balloon! There is a new challenge at Catch the Bug with Bugaboo Stamps! This week we have a fun game of Bugaboo Bingo! Check out the details and enter your own fabu cards HERE! My card featuring Raggedy Critters - dog, uses ALL of the squares in this weeks Bingo game! This weeks featured digi is an awesome stamp set called Party Blocks. I think the whole set is a *MUST HAVE*! It's OBG day for the DT at Bugaboo Stamps - the day that some of the Bugaboo DT shows off their creations featuring some of their favorite Bugaboo images that are not part of the current release. However, since all of us at Bugaboo Stamps are still wildly celebrating Bugaboos 3rd Birthday, we have another funtastic mini challenge! For the challenge we want you to create a MASCULINE Birthday Card! We can't wait to see what you create! My card below features Pig - Super Pig. My card below features Bugaboo Stamps Gus Birthday - Recount. As I mentioned in my earlier post, We are still going strong celebrating Bugaboo Stamps 3rd Birthday! For my second BIRTHDAY BINGO project, I've featured another of today's New Releases - Happy Birthday Sentiment! We hope you will check out this and all of the other releases, as well as play along HERE for todays Mini Challenge! We look forward to seeing what you do! At Bugaboo Stamps, we are continuing our 3rd Birthday Celebration! So, for todays mini challenge at Catch the Bug, we want you to play our special BIRTHDAY BINGO using the board found HERE. Easy Peasy! We hope you will join us! 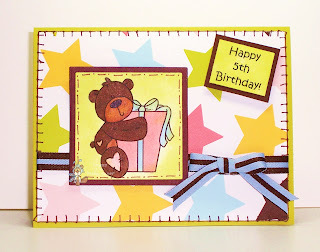 Since it is also a NEW RELEASE day, I am featuring one of today's new releases, Birthday Envelope! Check out my NEXT POST to see another of today's fabulous releases! 1-12 Birthday Celebration and Challenge for Bugaboo Stamps! We are going to have a SUPER FUN FAB time this week, with all of us at Bugaboo Stamps (and some of our friends at TOTALLY STAMPALICIOUS too!) celebrating our THIRD BIRTHDAY!!!! Click HERE for the Final Stop on the BLOG HOP! Don't forget to comment at each stop for a chance to win the RiDiCuLoUsLy FANTASTIC prize packages! If you just stopped in here to check things out though, be sure to start at the very BEGINNING OF THE HOP HeRe to play along! We are all still partyin' and celebratin' over at Bugaboo Stamps! The fun continues with another fabu mini challenge! This time we want you to use black and White and a POP of color! For inspiration, check out my card featuring Bugaboo Brat Sports - Soccer Boy below! Then go HERE to play along for another chance at the generous prize pack! We are going full tilt, celebratin' Bugaboo Stamps 3rd Birthday! For today's mini challenge at Catch the Bug with Bugaboo Stamps, we want you to use the SSS found HERE! Check out my card below featuring Friends don't let Friends Wine alone then head over to the BUG BLOG to add yours! We can't wait to see 'em! It's New Release Day today, and all of us at Bugaboo Stamps are so excited! This is the day when Jodie releases BRAND NEW digis in the Bugaboo Stamp Shop! Check out my sample below using this super cute digi, Primitive Ribbon Angel, then go to the Bug Shop to nab em all for yourself! You'll be glad you did! The first week of the New Year is already coming to a close and we've something fab and FREE at Bugaboo Stamps for you all! That's right, today is FREEBIE FRIDAY at Bugaboo Stamps! Every week Bugaboo Stamps offers one of the new stamps from one of their newly released lines for FREE! This weeks featured digi is called 'January', and is from an awesome line of stamps. I think you're going to LOVE 'em! Go check 'em out in the Bug Shop today! 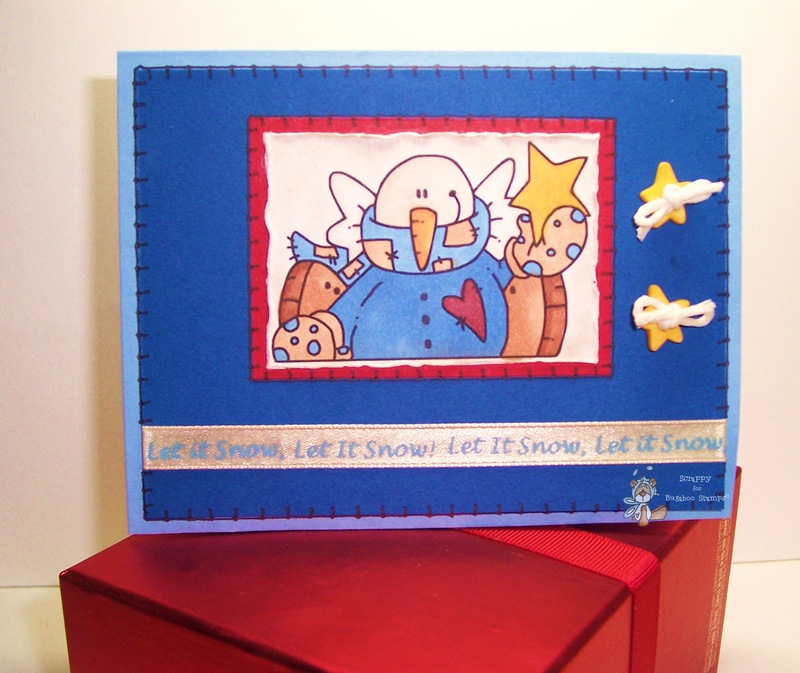 1-1 Happy New Year with an awesome NEW RELEASE from Bugaboo Stamps! It's New Years Day and what better way to celebrate than with a NEW RELEASE from Bugaboo Stamps!? Today Jodie is releasing some BRAND NEW digis in the Bugaboo Stamp Shop! Check out my sample below using Snowman Star, one of the super cute digis from todays release! Then go to the Bug Shop to nab the whole release for yourself! Wishing you the best in the New Year!